The water network that delivers your supply in South Australia is very complex - we manage over 26,800 kilometres of pipe (including more than 9,000 kilometres in Adelaide). Often unseen, these are some facts you probably didn’t know about what is happening below the ground. 2. The soil in Adelaide moves a lot! Did you know that both younger and older water pipes have the potential to fail? For pipes, age isn’t always an indication of quality. In Adelaide, the most common cause of pipe failure is ground movement due to the city’s highly-reactive clay soils. This is a particular problem when temperature changes cause soil moisture content to also change. As we move from our hottest to our coldest months this causes the soil to expand and more failures to occur. This seasonal cycle has followed the same pattern since records started in 1992. You can see in the graph below (labelled Water main failure rate: 2015-16 vs. 10 year average) that there are more failures between February and June, and less for the months on either side of this period. Our water infrastructure is in good condition and pretty young by urban water industry standards. Did you know that water mains have an asset life of approximately 100 years? Some may last longer, and others may need to be replaced sooner depending on a number of conditions, such as ground movement and the type of material used. The graph below compares the number of failures per month for the 2015-16 financial year to the 10 year average – as you can see, the number has been quite consistent. 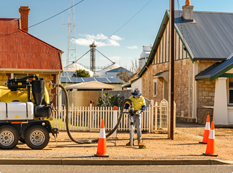 This is despite the fact that we are continually growing our network - over the past 10 years the length of water mains we maintain has increased by five per cent. The graph below shows the number of water main failures across the state by month, for 2015-16 versus the 10 year average. The number of water main failures varies based on the amount of rainfall in specific areas. The resulting soil moisture during the months leading up until June has contributed to higher than average water main failures in April and May this year. Every water network around the world experiences failures. It’s part of managing such a large and complex underground network. However, a report recently published by the Bureau of Meteorology (BOM), showed that our water main failure rate remains low in comparison to other Australian utilities. When compared to similar sized utilities, we are ranked fourth best in terms of the number of bursts and leaks per 100km of pipe out of the 14 largest utilities. In South Australia that means we experience an average of 11 water main failures every day. Note: These figures are correct at the time of publishing but are subject to minor changes. We work hard to ensure you always have access to clean, safe water. 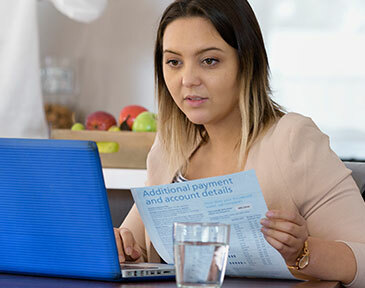 If you want to know what happens when you report a burst take a look at our step by step guide. Interested in our performance? Check out our scorecard. Want to know if a pipe near you is due for replacement? Have a look at our pipe replacement program.